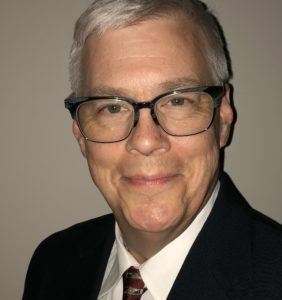 Dr. David A. Bishop is a technologist, consultant, researcher, entrepreneur, and instructor with over 25 years of experience in telecommunications, transportation, airline, government, and utility industries. David holds a Bachelor of Computer Engineering degree from the Georgia Institute of Technology, an MBA with a concentration in IT management, and a Doctorate in Business Administration from Georgia State University. He is an inventor of several U.S. patents. David is CEO and Founder of Agile Worx, LLC, (http://www.agile-worx.com) a software development firm that provides program and project management tools and consulting services. He is a member and committee chair for the International Electrotechnical Commission (IEC) based in Geneva Switzerland, a member of ANSI, and a Senior Member of the IEEE and the Association for Computing Machinery.David is also founding chair for the Atlanta chapter of the Technology and Engineering Management Society. Dr. Jason K. Hui, PMP, is a Senior Staff Project Engineering Manager at Elbit Systems of America in Merrimack, New Hampshire. His specialties are systems engineering and technical management. Dr. Hui has been involved in the defense and aerospace industry for over 16 years, previously as Senior Principal Systems Engineer at BAE Systems, Senior Member Technical Staff at The Charles Stark Draper Laboratory, and Senior Member of the Technical Staff at The Aerospace Corporation. He received the B.S. and M.S. degrees in Electrical Engineering in 1997 and 1998 and the Ph.D. degree in Mechanical Engineering in 2002, all from UCLA, and the M.S. degree in Systems Engineering at The Johns Hopkins University in 2012. Dr. Hui is an IEEE Senior Member and an Associate Editor of the IEEE Engineering Management Review. Dr. Bill Marshall is formerly a Senior Research Engineer at the Georgia Tech Research Institute (GTRI), where he has worked throughout his career. His various fields of research have included sensors and networked systems, cyber security, data analytics, and modeling & simulation. His past IEEE activities have included being treasurer and chair of the Atlanta Section, general co-chair of SoutheastCon, and several ad hoc committees for IEEE’s Region 3. He is also a past chair of what was known then as the Engineering Management Society Chapter in Atlanta. Tugrul U Daim is a Professor and the Director of the Technology Management Doctoral Program in the Maseeh College of Engineering and Computer Science at Portland State University. He is also the Director of the Research Group on Infrastructure and Technology Management. He is a Faculty Fellow at the Institute for Sustainable Solutions. US Department of Energy, National Science Foundation, National Cooperative Highway Research Program, and many other regional, national and international organizations have funded his research. He has published over 200 refereed papers in journals and conference proceedings. He edited more than 20 special issues in journals. He edited more than 20 books and conference proceedings. He was the adviser for 11 PhD graduates who are now in leading positions in government, industry and academia. He is the Editor-in-Chief of IEEE Transactions on Engineering Management. He has been at various editorial roles in journals including International Journal of Innovation and Technology Management, Technological Forecasting and Social Change, Technology in Society, Foresight, Journal of Knowledge Economy and International Journal of Innovation and Entrepreneurship. Prior to joining PSU, he had worked at Intel Corporation for over a decade in varying management roles. At Intel he managed product and technology development. During his tenure at PSU, he has acted as a Strategic Consultant to the Chief Technology Innovation Officer of Bonneville Power Administration a part of US Department of Energy. He helped develop regional and national technology roadmaps in the energy sector. He is a member of the R&D Advisory Board for TUPRAS, the largest industrial firm in Turkey. He also consulted to many other international, national and regional organizations including Elsevier, Biotronik, NEEA, Energy Trust of Oregon, EPRI, ETRI, Koc Holding, Arcelik, Tofas, Ford Otosan, Kirlangic, Siemens, Mark and Spencer, and Castrol. He is also a visiting professor with the Northern Institute of Technology at Technical University of Hamburg, Harburg. He has given keynotes and distinguished speaker lectures at conferences, companies, universities and research centers around the world including Iamot, Euromot, Samsung, Helmut Schmidt University, Kuhne Logistics University, Seoul National University, Bogazici University, Koc University, University of Gaziantep, Izmir Institute of Technology, University of Pretoria, Tampere University of Technology, STEPI, EPIC at UNCC. He was given the Research Publication Award by the International Association of Management of Technology (IAMOT) and Fellow Award by the Portland International Center for Management of Engineering and Technology (PICMET) both in 2014. Dr. Daim was the President of Omega Rho, International Honor Society in Operations Research and Management Science between the years of 2014 and 2016. He received his BS in Mechanical Engineering from Bogazici University in Turkey, MS in Mechanical Engineering from Lehigh University in Pennsylvania, MS in Engineering Management from Portland State University, and PhD in Systems Science: Engineering Management from Portland State University in Portland Oregon.